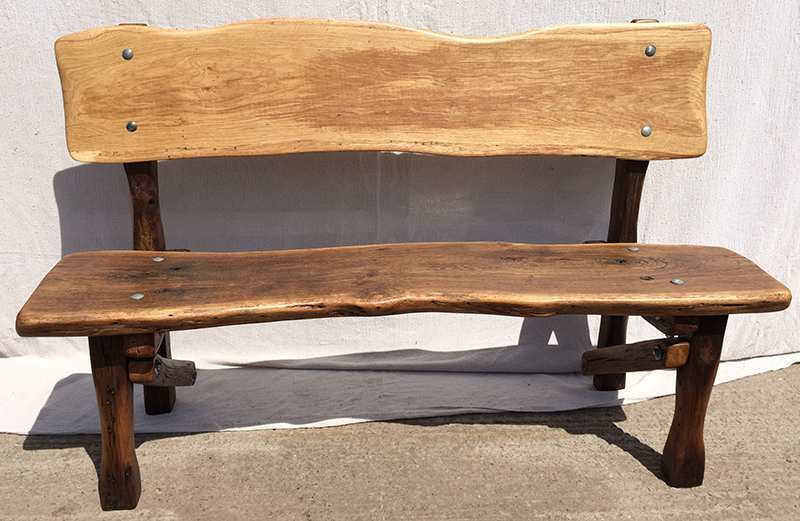 Garden bench, made entirely from recycled oak. 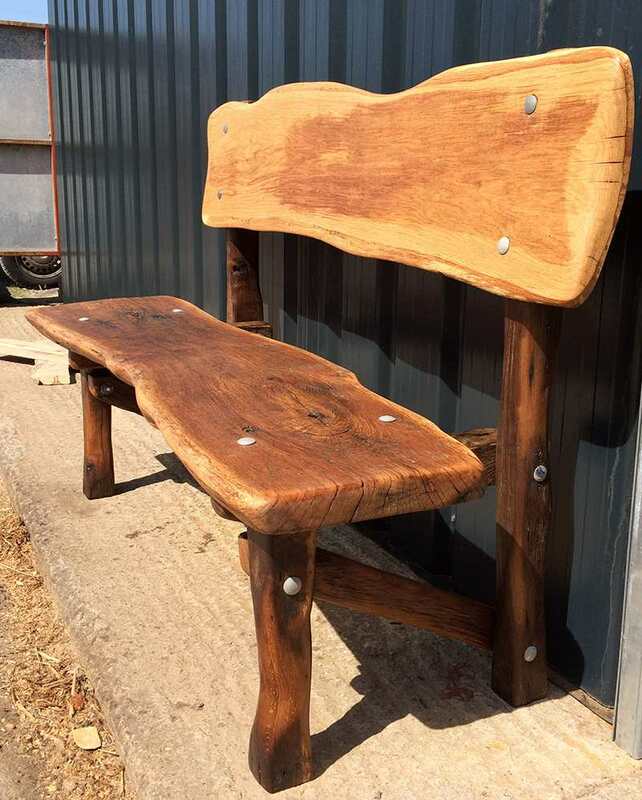 The bench seat was previously part of a bench in Somerset, the back was reclaimed from a sawmill and the legs are old oak posts from a Welsh barn. 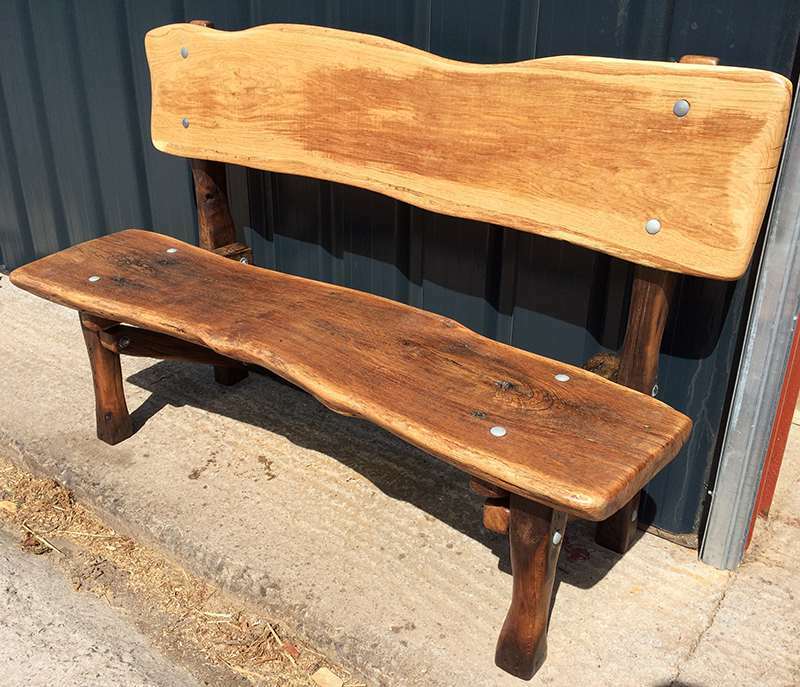 This style of bench can be made to any size depending on what materials are available. 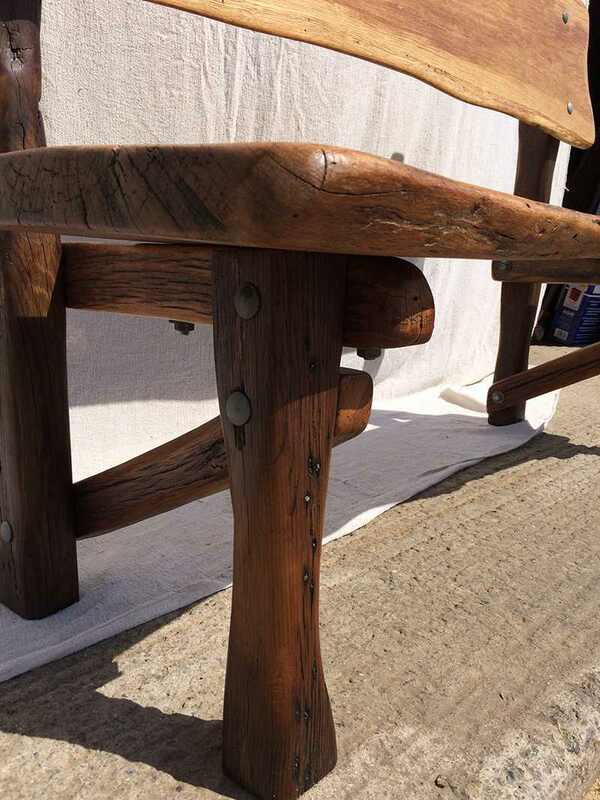 This particular bench has been sold but contact me if you want something similar and I will send you a quote. £500 – based on the above dimensions.